There are countless benefits of using custom software development for your organization. In addition to giving you better flexibility, security and control over your IT environment, custom software can often be a better fit for your company's style and needs. Despite these advantages, however, many companies are still unaware or uncertain of how custom software development can benefit their business processes. To help clear up some common questions and misconceptions, SYDCON is providing some examples of previous projects that it's completed so that you can get an idea of how companies are using custom software, and what custom software development can do for your business. In the following article, you'll find an overview of how SYDCON helped a medical supply e-commerce company revolutionize their business by giving them a new way to make sales. The client for this case study is a small medical supply company that sells medical instruments for use during surgical operations. When they began working with SYDCON, the client was a small startup that lacked much in the way of IT infrastructure. The website was rudimentary at best, and sales representatives were still taking orders over the phone. Of course, the lack of a dedicated e-commerce website created several major pain points for the client. For example, the client could only accept orders when sales representatives were available during normal business hours. In addition, because there was no product listing on the website, the client had to send out a PDF catalog of the items for sale to each potential customer. This setup meant that the client had no way of selling products passively. Sales representatives had to be present throughout the buyer's journey, which meant that the sales process was far from being scalable. 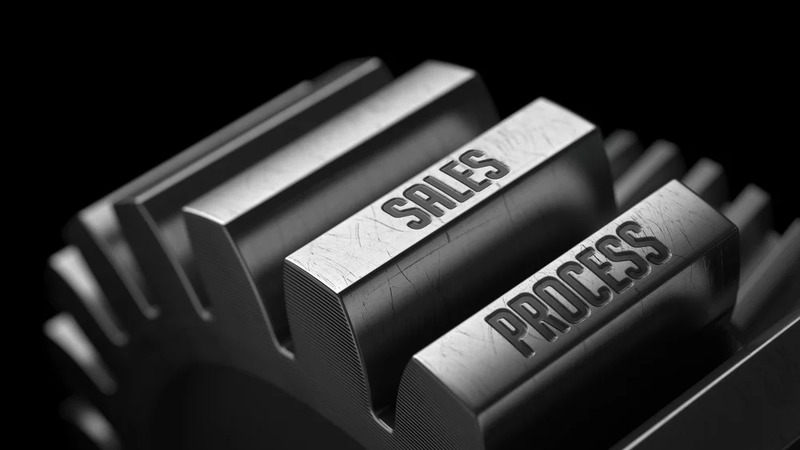 Frustrated with these manual, decades-old sales processes, the client wanted a better way to run their business. They wanted a way to sell their products online, making it easy for customers to order products at any time of day or night. In addition, they wanted to make the information that customers needed readily available on their website so that prospective buyers could review it and make an informed decision on what to purchase. In order to build a solution that best fit the client's needs, SYDCON sat down with key stakeholders in the company and discussed a plan of action. The client informed SYDCON about how their ordering process works and how potential orders could be validated. Not all surgical instrument tips fit on all instrument shafts, so the client had to follow specific procedures to make sure that the order was appropriate. After receiving the proper configurations about which tips could work with which products, SYDCON began to lay out the logic of the system so that customers could only order compatible items that made sense for their medical needs. SYDCON then began working on building a standard e-commerce website that customers could use to place orders. To begin with, SYDCON created a database on the back end that would store data about the different medical instrument parts, such as their size and the quantity available. Once this task was completed, SYDCON created a front-end interface so that users could visit the website, read information about the products, construct an instrument that fits their needs and order the necessary parts. SYDCON completed the project within the projected timeline and budget, fulfilling the client's expectations. Once their new website went live, the client could begin to see the effects right away. Sales representatives didn't have to sit by the phone at all hours of the day and night in order to service customers in different time zones. Instead, the client could simply direct surgeons to their website and give them a great deal of autonomy, allowing them to view information and pictures and order the products they wanted. By opening a new channel for sales, this custom software development project had a dramatic impact on the client's business processes. For one, they saw more orders because customers could make purchases at the time and place that best suited them. Because the sales team no longer had to be actively present at each step of the process, they could do a higher volume of sales without having to micromanage each transaction, giving them less work and making them more efficient. As the example above helps to illustrate, custom software development can assist any organization, no matter its size or industry, in managing its business growth and achieving its business goals and objectives. Whatever solution you decide to use, it's important that you take the time to think it through so that you can continue to see the benefits of your choice even years down the road. Even if your company has an extremely unique ordering process with special requirements, custom software development can help. By investing the proper forethought and planning with the help of an expert, you can turn your company's sales pain points into business success.